Expelled twice, once by his father, Giles&apos; best qualification is a B in O Level Metalwork. After a disastrous education Giles joined the Army and spent 10 years building stuff, blowing it up, marching about a bit and not getting caught. On leaving he spent a year in the music business creating and managing a boy band before selling everything he owned and setting off on a year long honeymoon with his new wife, Annie, travelling around the Mediterranean, Middle East and North Africa on two motorbikes. On the return from the trip the couple set up Olives Et Al having spotted a non existent gap in a non existent market. 20 years later the company now employs more than 70 people and supplies over 6,000 outlets across the UK and beyond. Over the years they have built up an enviable reputation for innovative products and remarkable marketing backed up by excellent service and a leadership style founded on the basis of honesty and integrity. Giles says the only reason he ended up starting his own business was no-one else would employ him. That remains true to this day. 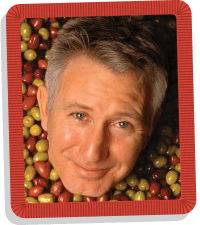 Be entertained and inspired as Giles tells the story of Dorset-based Olives et al in his unique, unscripted style. From home-kitchen start up to internationally acclaimed business, you&apos;ll take away tips on branding, bravery and believing in bonkers ideas all in one uplifting keynote address. Inspired to find new things and fresh ideas, Giles&apos; unique style and story will have you reflecting way beyond your return to the office. Simon joined NHS England as Director of Communications in October 2013. The role is to ensure staff, patients, the public and parliament have a clear understanding of what NHS England is trying to do. It is to ensure the NHS gets a fair hearing for the things it does well, to help the public understand how better to use the service and to explain how the NHS can improve and modernise. With more than a million people working for the NHS in England, it is vital that NHS staff are informed of how the NHS is evolving, as well as the million patients who use the service every day. The Communication Team is based across the country and provides a variety of core services to NHS England including: strategic communications advice, a press office, campaign management and planning, communications evaluation, events planning, Freedom of Information support, public affairs advice including answering parliamentary questions, production of the corporate website with a suite of bulletins and publication of more than 500 documents a year. Before joining NHS England, Simon worked as journalist and manager at the BBC. 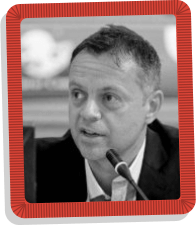 He worked across a range of outlets and his experience includes running the BBC&apos;s World Affairs Unit, deploying journalists across the world, Deputy Editor of BBC Newsnight and General Election coverage and Assistant Editor at BBC Breakfast. This will cover the ‘basics — core comms skills’ and ‘working effectively together, relationships, partnerships, networking’ themes. 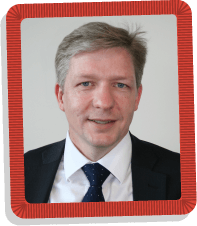 Matt is Chief Executive of the Dorset Councils Partnership — a single officer structure for North Dorset District Council, West Dorset District Council, and Weymouth & Portland Borough Council. So it&apos;s a good job he is passionate about excellent change management and the importance of great staff engagement. Matt is also Programme Sponsor for the county-wide Future Dorset local government reorganisation proposal. Backed by six of the county&apos;s nine local authorities, if approved by government, Future Dorset would see the existing councils abolished and replaced by two new unitary authorities serving the urban and rural areas of Dorset. On top of that, Matt is SOLACE Spokesperson for Digital Leadership — but he&apos;s looking forward to getting Unplugged with us on September. 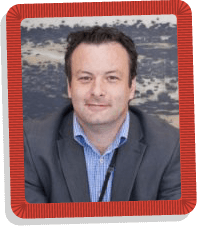 Join Matt&apos;s workshop discussion — his unconference-style approach could see you discussing leadership and culture, digital transformation or community engagement. Whatever route the discussion takes, you&apos;ll get a fabulous insight into the tips and lessons straight from a Chief Executive at the forefront of the latest thinking in local government. 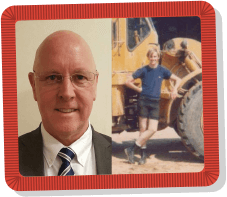 Gary has 40 years&apos; experience in the heavy building materials industry, specialising in quarrying, recycling, asphalt, concrete and marine aggregates. He's been involved in a range of high profile projects including the Olympic Stadium and village, Canary Wharf, Centre Court at Wimbledon and the Channel Tunnel rail link. He&apos;s even had to deal with dredged up WW2 bombs! Gary will lead a workshop on making relationships work and getting the best out of people. A straight-talking East Ender, his humorous take on life and work will challenge you to think differently about how you work with others. With technology so often the focus of organisational transformation and talk of digital natives and an on demand society, how much real transformation is being achieved? 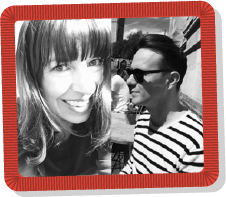 Ross and Victoria will explore the role of people, culture, engagement and communications in transforming through digital. Working alongside agile delivery thinking and technology in change, what role do communicators need to play to deliver true organisational transformation? 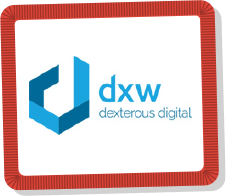 dxw helps public sector teams to make good technology decisions and build better services. By truly understanding users&apos; needs, they are able to design services that are easy to use and deliver the required results quickly. Their clients involve NHS England, MyTVH for Thames Valley Housing Authority https://my.tvha.co.uk/ to name but a few, and are currently working with BEIS to improve and understand the needs and problems faced by UK SMEs. Building a collaborative relationship with your suppliers with Alex Jackson and Jane Hewitt. Join fellow comms colleagues who feel your pain! Who doesn&apos;t feel better after a good rant, offloading our problems, and sharing our pet hates. 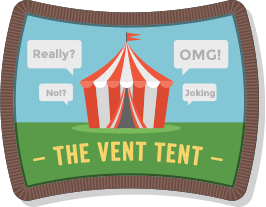 The Vent Tent offers a calm and relaxing zone to do just that. Whether it&apos;s common issues, or unique aversions, there&apos;s no better place to get it all out. You&apos;ll already be Unplugged from the distractions of email and gadgets, and be amongst friends. 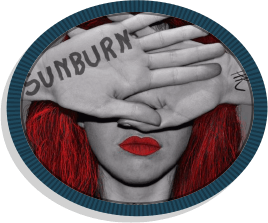 A guaranteed cathartic experience that might even lead to solutions, acceptance, avoidance, analysis and more. Failing that, just have a good scream. Let Irena Beniston guide you through a non-challenging, not-too-serious hour of hatha yoga. Fresh with ideas from her 2017 visit to an Indian Ashram, Irena&apos;s natural warmth will have you relaxing into a downward dog in no time. Please bring mats / towels and wear comfortable, loose clothing. After a successful international career in HR, the loss of her mum led Kerrie to re-evaluate her life and her career. Having had enough of the corporate world, Kerrie returned to the UK and established her own wellbeing organisation, Positive Dimensions. 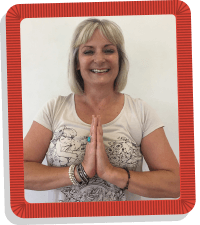 Kerrie retained as a Life Coach and Pilates Instructor and now works with clients in private sessions, community classes and local gyms throughout Dorset. Here at Fresh Air Fridays we teach simple tools and techniques to improve people&apos;s understanding of how to support their own wellbeing. 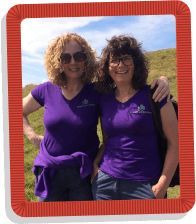 We do this through taking groups of people outside into nature and exploring 12 key themes in a way that allows them to build good habits to enjoy healthier, happier lives with greater purpose and joy! From ‘Filling Yourself Up First’ to stretching our ‘Comfort Zones’ and deciding who we want in ‘Our Team’, our proven programme explores different aspects of wellbeing - encouraging personal responsibility and building resilience which helps people create more open, trusting relationships with their colleagues and customers. We&apos;re excited to be part of the very first Comms Unplugged event and will run ‘taster’ sessions so you can experience this for yourself. We&apos;d love to show you what we&apos;re all about and how Fresh Air Fridays could support you and your teams! Aiden Keryn is a 15 year old singer song-writer from Swansea. She has been writing and performing her original music for several years and has recently began recording this work with her dad in their garage recording studio. She would describe her style as Indie-acoustic and bases her songs on past-experiences and introspective reflection. Her current EP has had radio airplay on BBC Radio Wales, Huw Stephens&apos; BBC Introducing show on Radio 1 and several local radio shows. You can find Aiden Keryn&apos;s music on Soundcloud, Spotify, Itunes and all popular digital download outlets. @aidenkeryn. Who doesn&apos;t love eating in the fresh air? It&apos;s good for the soul and somehow everything tastes just that little bit better. 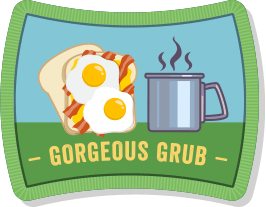 Whether it&apos;s the smell of bacon breakfast baps, freshly brewed coffee or handmade pizzas wafting across the campsite, Comms Unplugged may not have mains power, but we&apos;re not compromising on giving you a good feed-up! And there&apos;ll be no over-priced conference hotel bar charging you £8.50 for a small glass of pinot, oh no. Just bring your own! 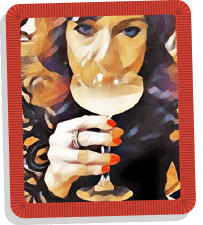 Whether it&apos;s bubbles or beer or just a nice cup of tea that takes your fancy of an evening, there will be plenty of downtime to relax and enjoy a tipple or two, if that&apos;s your thing. In 2017 we supported Dorset Mind and Dorset Wildlife Trust as they fit so well into the ethos of Comms Unplugged. Our raffle, which offered prizes worth a total of over £2000, raised over £500 between the two charities and we aim to do even better next year. Deputy Director for OD, Communication and Participation at Dorset HealthCare University NHS Foundation Trust. After a degree in languages I trained to be a journo at the local paper in my home town. A few years later I hopped the fence into local gov comms, with a stint as a freelance and finally a move to the NHS. Love the variety and the challenges of public sector comms and engagement, and the great people you get to work with. Value great writing, good humour, funky ideas and positive relationships. Outside work it&apos;s two girls, one dog, one guinea pig, baking, singing (Rock Choir), movies, books, drawing, codeword puzzles and travel. I am Shared Head of Communication and Marketing, Bournemouth Borough Council and Borough of Poole. I studied a PR degree in my hometown of Bournemouth, which included a placement at the council. I loved it so much I went back after the obligatory post-graduation travelling and haven&apos;t left since! After a dabble in the glamping business for a couple of seasons just two years ago (alongside my full time job at Bournemouth - what was I thinking? ), I realised that the grass really wasn&apos;t greener, even in a glamping field, and embraced my job with newfound enthusiasm & appreciation. Why wouldn&apos;t I? I love the unending change, the requisite drive for creativity, and the innovation & commitment I see each day… oh, and I get to live by the sea. Out of work passions - travel, conservation, food, wine, and my cat Marble. Victoria has over 15 years senior level experience of communications, engagement and change in the public sector. From heading large operational areas to leading an award winning communication team. 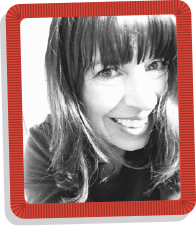 Victoria is an experienced communication and engagement professional who brings focus to organisational strategy and puts people and culture at the centre of complex change. A fair weather camper who survives under canvas with a pillow and gin. 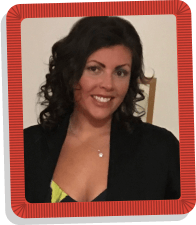 Sara Hamilton is the comms manager for the district council in the beautiful New Forest, was previously the long-serving comms manager in Hemel Hempstead, and was educated in Dorset. Enthusiastic about local govt comms, people with a reasonable approach, coffee, cardigans, oxford commas, and pandas - she&apos;s oft described as endlessly energetically enthusiastic. 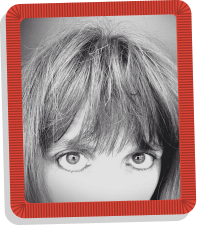 She&apos;s on the tweeter sometimes @mrssarahamilton and has an ancient but lovable Bongo campervan, a patient husband, and tweenage twins. My son claims I “work on The Twitter”. But really, I am a communications consultant, creator of comms2point0, and owner of Creative Communicators Ltd.
My 21-year career in communications, marketing and PR spans 10 years as Head of Communications within local government, a director level role in the NHS and five years in private sector marketing, winning some awards with my teams along the way. I have hosted and spoken at more than 100 events across the UK, Europe and the Middle East, on integrating social media for business, building communications and engagement strategies, and communicating in a digital world. And amongst many, many projects I am most proud to deliver the unique annual UnAwards, now in their fourth year. I love the communications community and my mission is to fly a flag for it wherever possible. I&apos;m also passionate about all things Birmingham, including our very average football team, and in between trying to be a decent dad I love music, film & TV, cooking, trips to the seaside and the occasional visit to the gym. 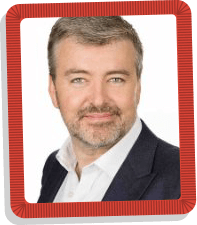 Chris is an experienced Head Of Internal Communications with a demonstrated track record of leading internal communications in government through major change programmes. Chair of Engage for Success Wales group. Skilled in Employee Engagement, creative thinking, leadership, strategic communications and Marketing. 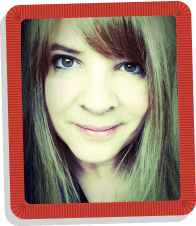 Strong communication professional with IOIC diploma in Internal Communications, TEDx organiser and MCIPR. After completing my multi-media journalism degree at Bournemouth University I naturally headed straight for local government - nine years and four jobs later, I&apos;m still here and loving it. I&apos;ve worked for three different councils in Dorset and I&apos;m very lucky that part of my current role includes marketing two of Dorset's most stunning locations - Highcliffe Castle and Moors Valley Country Park. Born and bred in Poole, I love nothing more on a sunny day than cycling to the beach and enjoying a gin (Conker!) and tonic while looking out over the Purbecks. I also love heading back to my Grandad&apos;s homeland to cheer on the Welsh boys playing rugby.